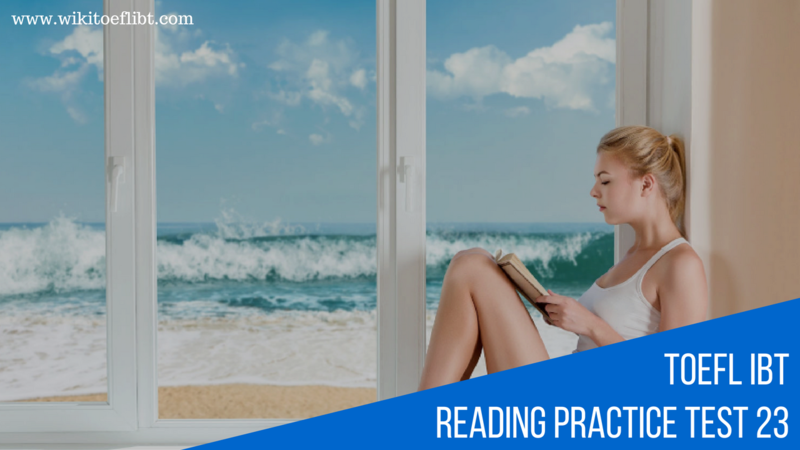 The Reading section measures your ability to read and understand passages in English. You will read three passages and answer questions about them. Answer all questions based on what is stated or implied in the passages. Most questions are worth one point. The last question in each set is worth more than one point. For this question, the directions will indicate how many points you can receive. Some passages have one or more words in bold type. For these bolded words, you will see a definition in a glossary at the end of the passage. Allow 20 minutes to read each passage and answer the questions about it. You may now begin the first passage. Until the nineteenth century, most tall buildings were constructed of load-bearing masonry walls. Masonry walls had to be thick, particularly at the base, to support a building’s great weight. Stoneworkers built these walls by placing stone upon stone or brick upon brick, adding strength and stability by placing layers of mortar or cement between the stones. Floors and roofs had to be supported by wooden beams, but the major vertical force of buildings was supported by thick masonry walls. This imposed serious limitations on the number and size of windows. In the 1850s, an alternative was emerging that would eliminate the need for exterior weight-bearing walls: a three-dimensional grid of metal beams and columns. The introduction of metal construction made it possible to build larger interior spaces with fewer columns than before. The new construction was capable of supporting all the loads to which a building might be subjected, including the vertical forces caused by the weight of the floors and the horizontal forces caused by the wind or earthquakes. The first buildings to depart from the load-bearing wall tradition were iron-framed. Wrought iron, shaped by hammering the heated metal or rolling it under extreme pressure, contains almost no carbon, and when used as floor beams, it can support a great deal of weight. An interior wrought iron skeleton supported all of the building’s weight. Exterior walls of reinforced concrete acted mainly as weatherproofing. As masonry yielded to concrete, walls that once bore weight evolved into thin curtain walls that would allow more j^jjj^lows,. These modifications produced sturdier, lighter, and taller buildings that quickly became known as skyscrapers. Skyscrapers satisfied the growing need for office space, warehouses, and department stores. Buildings of eight or more stories quickly transformed the city skyline and dominated the central business districts of American cities such as New York, Chicago, and St. Louis. Skyscrapers differed from previous tall structures with their use of technical innovations such as cast iron and the elevator. The development of cast iron technology, in which molten iron is poured into a mold, made modern plumbing possible. Cast iron pipes, fittings, and valves could deliver pressurized water to the many floors of tall buildings and drain wastewater out. The invention of the mechanical elevator made it possible to construct even taller buildings. Before the elevator, office buildings were rarely more than four or five stories high. In 1857, the first passenger elevator equipped with safety brakes prevented the elevator from falling to the basement when a cable broke. The elevator made the upper floors as rentable as the first floor, liberating architecture from dependence on stairways and human muscle. Not only did these innovations have important uses in the engineering of tall buildings, but they also erased the traditional architectural distinctions separating the bottom, middle, and top of a building. Architects designed towers that reached to the heavens in a continuous vertical grid. Iron construction established the principle of repetitive rhythms as a natural expression of construction, as well as the idea that buildings could be made of new materials on a vast scale. Construction techniques were refined and extended over the next several decades to produce what architectural historians have called “true skyscrapers,” buildings over twenty stories high. The invention of steel was particularly significant, as steel T-beams and I-beams replaced iron in these new structures. Steel weighs less than half as much as masonry and exceeds both masonry and iron in tension and compression strength as well as resistance to fatigue. Steel rivets replaced iron bolts and were in turn replaced by electric arc welding in the 1920s. The skyscraper’s steel skeleton could meet all of the structural requirements while occupying very little interior space. Exterior curtain walls could be quite thin, since their only function now was to let in light and keep the weather out. 1. Which of the following was a typical characteristic of tall buildings before the nineteenth century? 4. Which sentence below best expresses the essential information in the highlighted sentence in paragraph 3? Incorrect choices change the meaning in important ways or leave out essential information. (?) Although masonry walls could bear heavier loads, architects preferred concrete walls because they were easier to build. (?) Walls used to be made of load-bearing masonry; now they were thin and made of concrete, so more windows were possible. (?) Because tall buildings had such thin exterior wails, the windows needed curtains to prevent heat loss through the concrete. (?) Masonry replaced concrete as the material for outside walls, and this allowed skyscrapers to have a lot of windows. 5. According to the passage, which of the following statements is true of the earliest skyscrapers? (?) They required the labor of stone workers. (?) They were eight or more stories high. (?) They had very thick exterior walls. (?) They were constructed with steel beams. 6. Why does the author discuss the elevator in paragraph 4? 10. According to the passage, why did steel replace iron in the construction of skyscrapers? (?) Steel is stronger than iron and resists fatigue better. (?) Steel allows architects more freedom of expression. (?) Steel is more available and less expensive than iron. (?) Steel does not rust, so it lasts longer than iron does. 11. It can be inferred from the passage that the author most likely believes which of the following about the skyscraper? (A) The skyscraper is most beautiful when constructed of traditional materials. (B) Cast iron technology and the elevator made the skyscraper possible. (C) Most technology used in the skyscraper existed before the nineteenth century. (D) The definition of “true skyscraper” will probably change in the future. 12. Look at the four squares [A], [B], [C], [D] which indicate where the following sentence could be added to the passage. Where would the sentence best fit? Sophisticated plumbing was needed to service bathrooms and also to heat buildings with either steam or hot water. 13. Read the first sentence of a summary of the passage. Complete the summary by selecting the THREE answer choices that express the most important ideas in the passage. Some sentences do not belong in the summary because they express ideas that are not presented in the passage or are minor ideas in the passage. This question is worth 2 points. In the nineteenth century, there were several important developments in the construction of tall buildings. (A) Masonry walls were built very thick at the base to support the building’s mass. (B) The development of metal-frame construction eliminated the need for load-bearing walls. (C) Heating iron or subjecting it to pressure enabled iron workers to create new shapes. (D) An iron or steel skeleton supported the building’s weight, and concrete walls kept the weather out. (E) A growing need for office buildings and department stores led to the invention of the skyscraper. (F) Inventions such as the elevator and steel beams allowed taller buildings than ever before. you can answer please? !